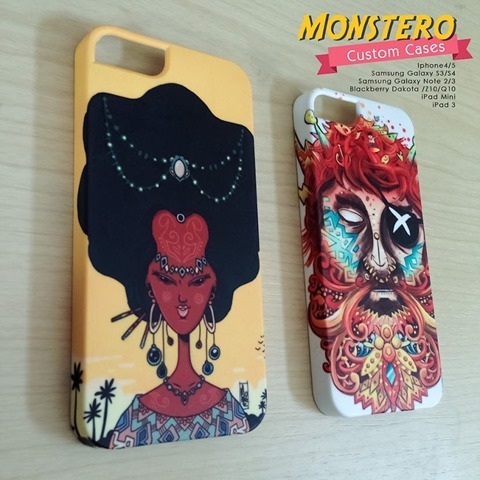 Monstero is a new line of smartphone and tablet cases from Indonesian design Monez Gusmang. The one on the left in the photo above is called ‘The Kuin’. It’s notable because it was designed entirely on an iPad, using ‘finger only’ and no stylus. Quite a nice result I’d say. 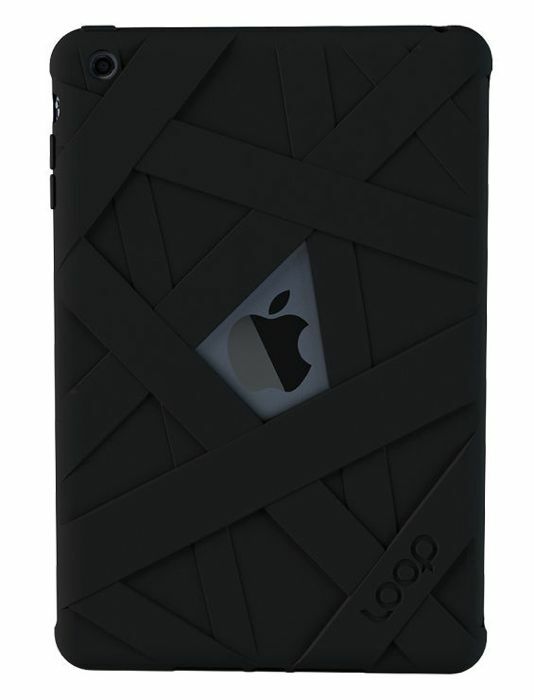 The cases are available for the iPhone and a few other leading smartphones (including Samsung Galaxy and Galaxy Note devices) and also for some iPad models. The price for the smartphone version is around $21. You can see more detail on these at Gusmang’s website. Want a great free case for your iPad 3 or iPad mini? Well, I’m going to give away about a dozen great iPad and iPad mini cases over the next week or so. — Cases from Marware and Piel Frama and other leading vendors. 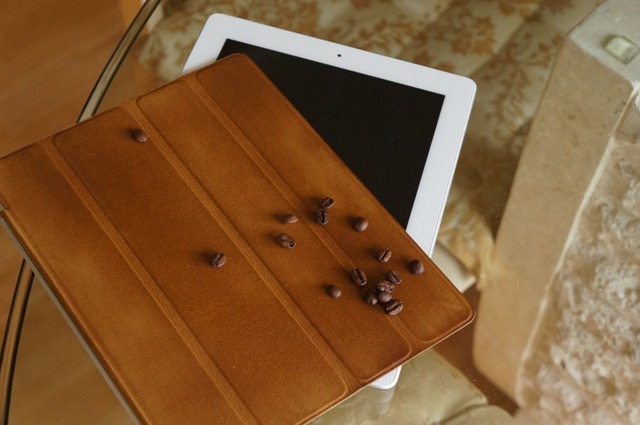 The photo above shows a gorgeous coffee-colored iPad Smart Cover – but it’s not a color you’ll find in the Apple store range. 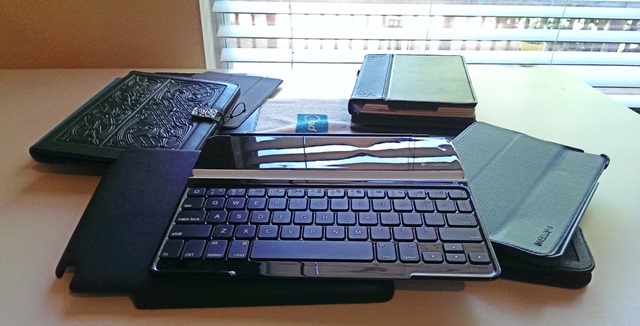 It’s the result of a DIY project involving actual coffee being applied to the Smart Cover. This is the creation of simeon, one of the developers at twolivesleft – makers of Codea and other apps and games. Simeon decided he wasn’t seeing quite the aging effect he had hoped for on the tan Smart Cover, so he decided to create his own. I’m not too careful with my cover. I chose the leather cover thinking the more scuffed and damaged it got, the better. I wanted it to look worn. Unfortunately after only two weeks of use it did start to look worn — on one side only. 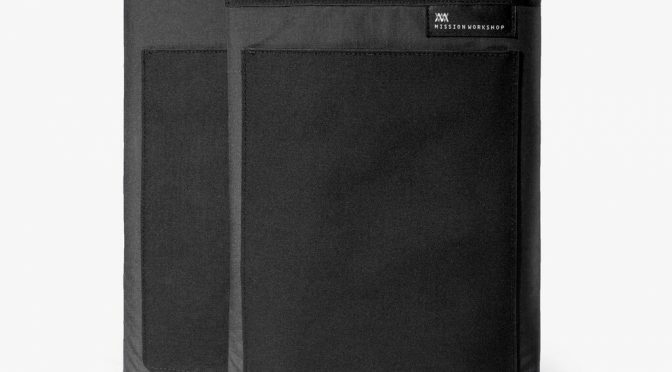 As you can see in the above photos the right side of the cover is darkened in the place I usually hold it while reading. This asymmetry wouldn’t do. I had a wonderful, horrible idea: I’d stain the cover with coffee. 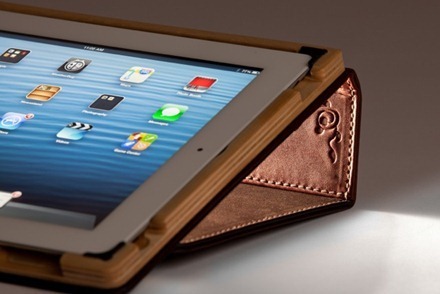 Here’s something you don’t see every day – an iPad case for $6.95. And it doesn’t look half bad – in fact, it looks pretty good in its product shots. 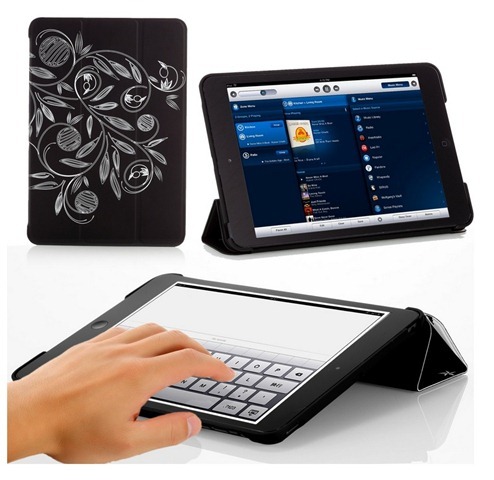 It’s called the Poetic Covermate Case – for iPad 2 / 3 / 4 or iPad mini – and it costs less than the standard shipping fee for it. The folks from Your Poetic mentioned this one in my iPad Accessories Google+ community, I took a look at the Amazon page for it, and I couldn’t resist finding out what a $6.95 case for the iPad mini is like. So I ordered one just a few minutes ago. I’ll let you know what I think of the Poetic Covermate once I’ve had a chance to try it out. In the meantime, you can see more detail or place an order at this Amazon page. 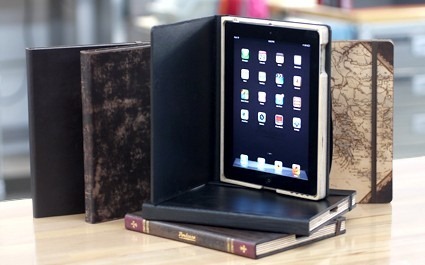 I posted a few weeks back about the gorgeous looking new Aria for iPad mini Case from Pad & Quill. Now there’s good news for owners of iPad 2/3/4 models – Pad & Quill have announced the Aria for iPad – and it looks just as handsome as its little buddy. P&Q reckon the Aria for iPad is ‘the most beautiful case we’ve ever crafted’ – and that’s saying something give their track record for producing great looking cases. 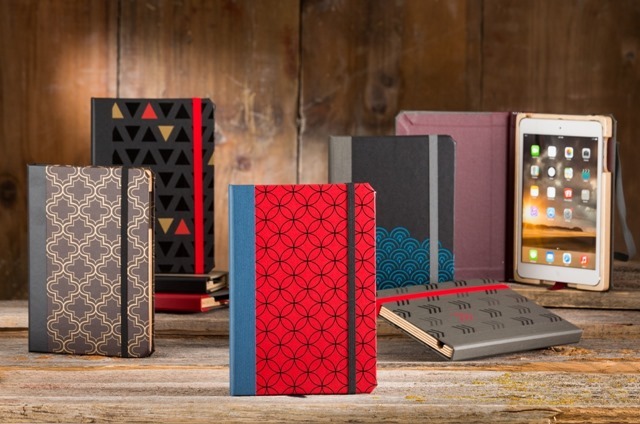 Both the Aria for iPad and the Aria for iPad mini are hand crafted book design cases – made with a combination of boot leather and baltic birch wood. 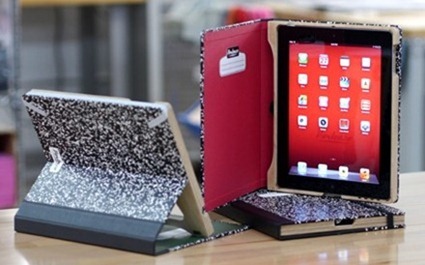 Composition Book for iPad mini: Kids’ Favorite Sneaky iPad Case? I did Career Day presentations at my daughter’s school this morning – where I talked about my job as a blogger / site owner to groups of 3rd to 5th graders. It was a blast – the students had lots of great questions and comments. The guidelines for being a presenter stressed that props and anything else to get the kids engaged were encouraged. So I took along a handful of favorite iPad mini cases, did a very brief rundown on each one, and passed them around the room. The cases I took in were a Zoogue Case Prodigy, a Portenzo Alano, a Portenzo Composition Book, the Oberon Design Celtic Hounds, and a Moshi VersaCover in use on my iPad mini. Each case had some supporters – with the Celtic Hounds and Alano getting compliments on their great looks, the Case Prodigy getting praise for its versatility and the VersaCover appealing for its lightness and looking cool. But the runaway favorite was the Composition Book, and it was unanimously cited for one specific reason: the Sneaky factor. Every student who picked it as their favorite talked about how it would make their parents think they were busy with homework while they were actually enjoying a game. So there you go Portenzo marketing team – make Sneaky the focus of your promotions! Yesterday afternoon I received this little fella in the mail. It’s a review unit of the Celtic Hounds iPad mini Cover, from the lovely folks at Oberon Design. This is – easily – The Most Beautiful iPad case ever. It is just ridiculously beautiful. 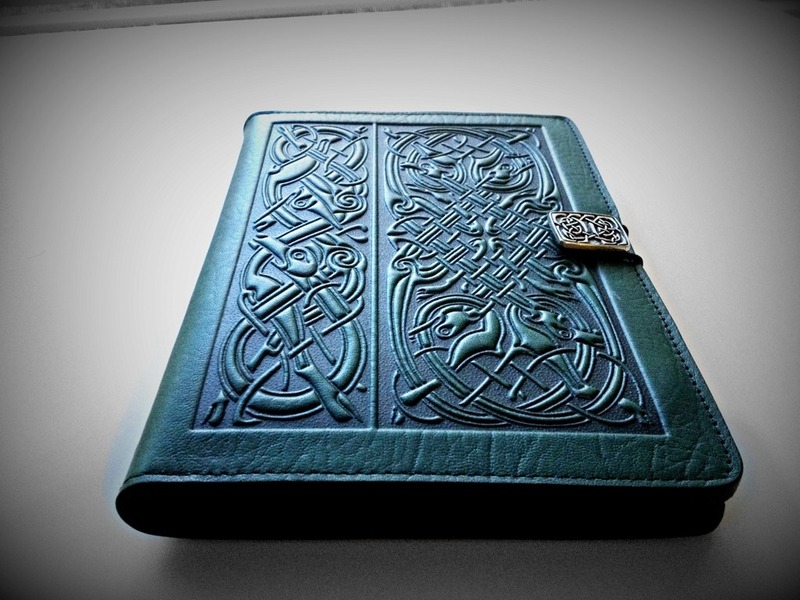 I’ve reviewed one other Oberon iPad case – the Hokusai iPad 2 Case – and I know Oberon does a range of gorgeous cases, but this one is just stunning. This is real artisan craftsmanship at its best, and made right here in the USA. I’ll be less productive today, because of time spent just admiring the crap out of this case. 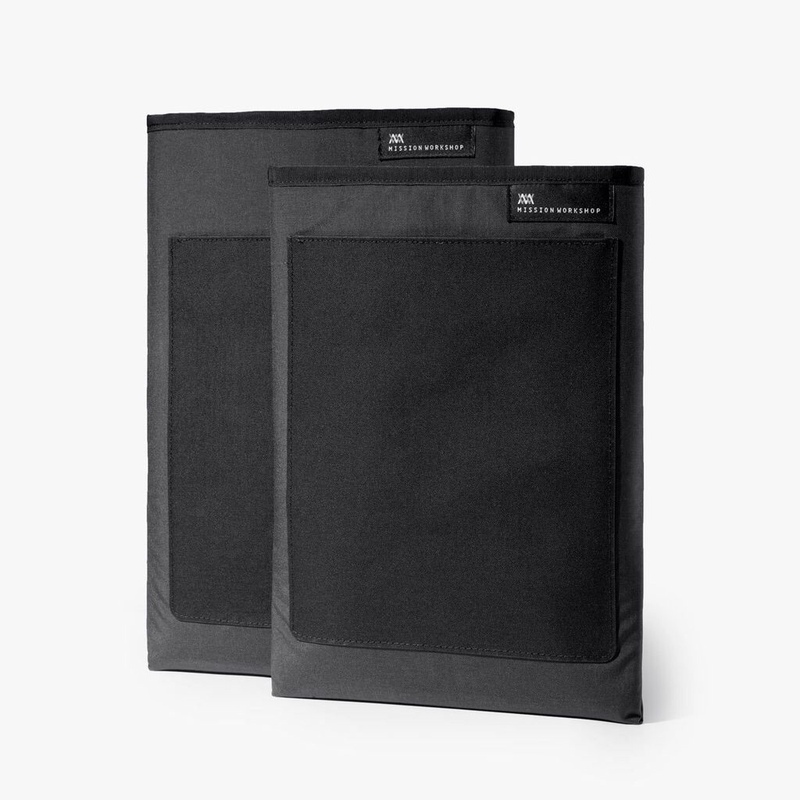 If you want to see more detail or order one of these, check them out at Oberon’s product page.